UK: Finally, Bee-harming pesticides will be totally banned in the UK, Michael Gove says. Above – Minister Michael Gove – At long last a Minister at DEFRA who IS concerned about animal welfare – something we very much welcome – SAV. Bee-harming pesticides will be totally banned in the UK, Michael Gove says. A total ban on bee-harming pesticides being used across Europe will be supported by the UK, the Environment Secretary has said. In a reversal of the Government’s previous position on neonicotinoid pesticides, Michael Gove said new evidence indicated the risk to bees and other insects was “greater than previously understood”. 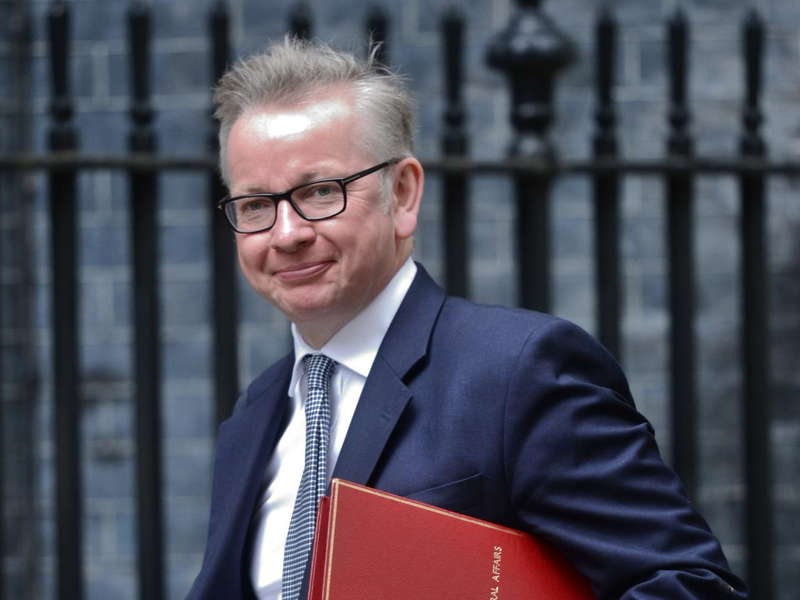 Writing in the Guardian, Mr Gove said he believed the evidence base had “grown”, and the UK would back a new proposal by the European Commission to extend the ban to non-flowering crops. He said: “While there is still uncertainty in the science, it is increasingly pointing in one direction. Plant flowers, shrubs and trees that thrive in winter. The evergreen mahonia is excellent winter food for bees, while the pendant bells of winter flowering clematis can give pollinators a sugary energy boost. Ivy plants are also an ideal source of food for bees in late autumn – avoid cutting them down. Leave suitable places for hibernation undisturbed. Letting areas of a lawn grow long until the spring can provide a hibernation home while cool, north-facing banks are ideal places for bees to burrow. The hollow tubes of dead stems of plants in borders can also serve as a great nesting spot. Mr Gove said he was “deeply concerned” by a recent study into the health of some insect populations, which revealed 75 per cent of flying insects in Germany had disappeared. He added that bees and other pollinators were “absolutely critical” to the natural world, and that a deteriorating environment is also bad for the economy. Last month, a study found that three-quarters of the honey produced around the world contains nerve agent pesticides that can harm bees. 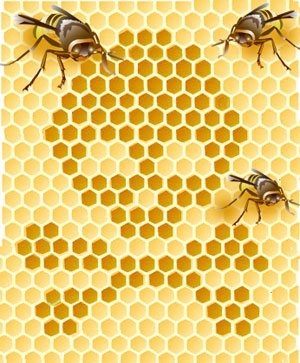 Scientists who tested 198 honey samples from every continent except Antarctica discovered that 75 per cent were laced with at least one of the neonicotinoid chemicals. Environmental campaigners responded by demanding a “complete and permanent” ban preventing any further use of neonicotinoids on farm crops in Europe.